Ya'll know we're all about supporting arts in Brisbane/Australia, especially the up-and-coming ones. 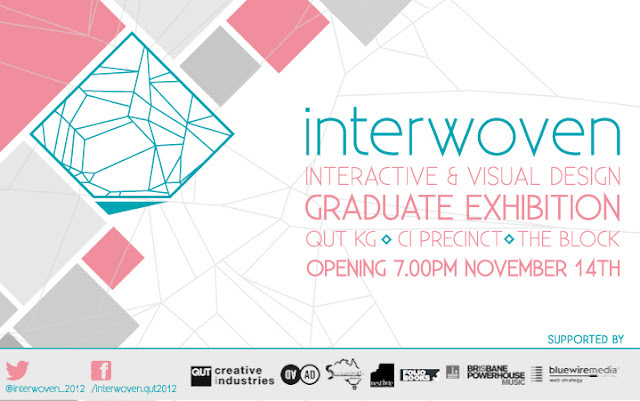 When we heard about QUT's upcoming graduate exhibition Interwoven we couldn't help but check it out. 2 days to showcase an entire graduating year's works. 2 days full of interactive and visual design. 1. In 5 words describe the Interwoven exhibition for me? 2. 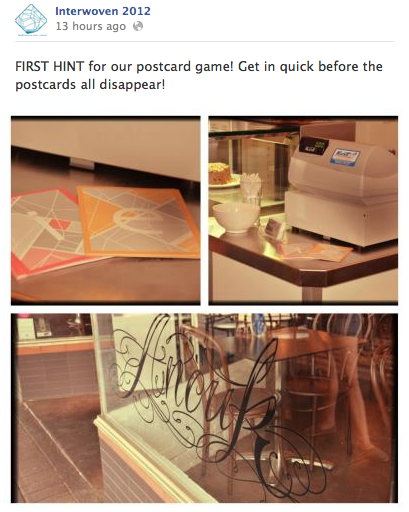 How many students will be exhibiting? 3. What do you think makes QUT's visual arts and design/Creative industries course so unique? The variety of fields we are exposed to, and industry focused staff. 4. What kind of works are in store for us? 5. What do you think the graduates will go on to in the future? The course is very varied, so there's a diverse range of areas in the industry we will go on to - illustrators, marketing, advertising, exhibition design, branding, animators, games, ftv/special effects, web design, interface and interaction designers. 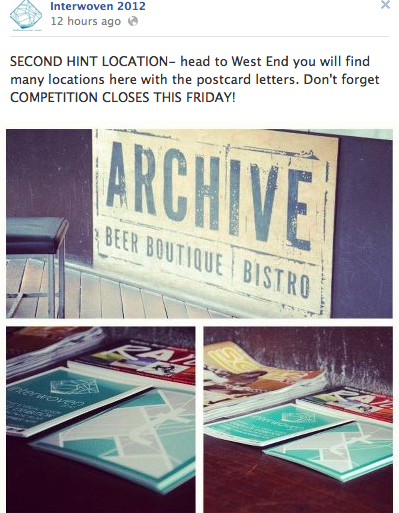 They've also got a scavenger-hunt-game-of-sorts happening around town :D Check their Facebook to find out more!